How do you report Airbnb taxes? Estimated tax planning is the best way to ensure that your taxes are properly filed as an Airbnb host. Here are some tips to help you prepare your Airbnb taxes so that you can avoid tax problems. How To Pay Tax On Airbnb Income? If you owe tax on your Airbnb income because you do not qualify for the 14-day rule, you’ll first need to determine whether you’ll need to use Schedule C or Schedule E to report your income. As a Schedule C filer, your Airbnb income will be considered as business income which means that you can deduct eligible expenses related to your Airbnb business. When you file using Schedule C, you must also pay self-employment taxes on your income, which include Social Security and Medicare taxes. Self-employment tax deposits must be made on a quarterly or monthly basis depending on your income. If you’re expected to owe more than $1,000 in personal income taxes for the year, you may also be required to make quarterly estimated tax payments which are due on April 15, June 15th, and September 15th of the current year, and January 15th of the following year. Consult a tax professional to find out whether you’ll owe estimated taxes so that you don’t incur underpayment penalties. In addition to federal income tax, Airbnb hosts may also be responsible for paying state and local taxes. Before you start hosting with Airbnb make sure that you register with the appropriate tax authorities as applicable to your business. In many jurisdictions across the country, Airbnb hosts must pay occupancy tax, which may also be known as a lodging tax, a room tax, a sales tax, a tourist tax, or a hotel tax. Occupancy tax rates and rules may vary and is generally paid by the guest. However, the obligation to remit those taxes typically falls on the host. In some jurisdictions, Airbnb may collect and remit this on your behalf. However, if you are required to pay occupancy tax and this feature is not available for your listing in Airbnb, you will need to make these payments on your own. It is important to note that hosts renting on other platforms such as VRBO or Homeaway are often left on their own to pay their local taxes, whereas, with Airbnb, they will often withhold and make those payments for you. An Airbnb tax preparer can assist you with estimated tax planning so that you can get a more accurate idea of your tax liability in advance. 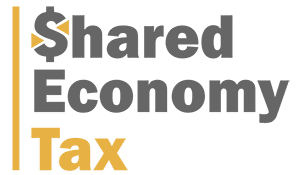 For the latest updates regarding Airbnb tax changes for 2018, click here. Airbnb tax errors often result from the failure of Airbnb hosts to correctly report their earnings. Airbnb issues a Form 1099-K to all hosts who earn more than $20,000 and processed 200+ transactions within a calendar year. If you don’t meet the minimum requirements to receive a Form 1099-K, then you should use your earnings as reported in your Airbnb Transaction History. If you do receive a Form 1099-K, make sure to that you reconcile the amount reported on the form against your earnings from your Transaction History. You should also make sure that you fill out the taxpayer information so that Airbnb does not withhold income from your earnings. The amount that Airbnb withholds could be more than what you actually owe. If you fill out the taxpayer information, your income will not be withheld. Keep in mind that the tax tips offered by Airbnb and third-party sources are informational in nature only. As a result, we encourage you to seek out the advice of a qualified tax professional for assistance with reporting your Airbnb income. A tax professional can provide you with tax advice that is relevant to your specific situation to ensure that your taxes are properly filed. Finally, working with a tax professional will also enable you to claim all of your applicable business deductions so that you can minimize your tax liability.